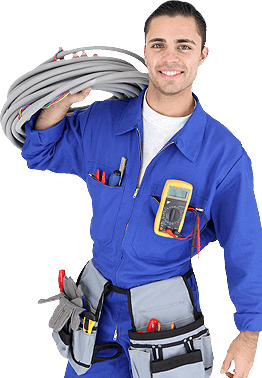 We are a highly committed team of professional electricians who are honest as well as open to our clients with respect to the repairs or replacement of electrical works. Our Cameron Leaver company believes to be frank and so we make everything clear to the clients regarding the time duration, pricing and structure, materials, fees and policy. When it comes to offering guarantee, one can be assured about our services as we make use of flexible and communicable approach to make the client satisfied all through the work process. Our customer care is always open for one and all! We understand that electrical problems can pop up anytime; therefore we always have an emergency team ready to help you out. You can expect flawless services when you hire our team of electricians as they have been working in the industry for many long years. We value the money; hence we charge reasonable quotes for every electrical service you pick up. Every electrician in our team is certified and holds a license, which means they are good to work with based on the industry standards.